NEW YORK, NY / ACCESSWIRE / July 10, 2018 / BC Crypto Standard is fully empowered to facilitate leading companies throughout the world in next-generation blockchain through the big data-driven viral growth traffic operations. Additionally, BC Crypto Standard is strategically targeting their services in Belarus, which offers significant compliance advantages in an attractive emerging marketplace. BC Crypto Standard's services and growth to date has been impressive. When a large number of emerging internet companies achieved viral growth with the help of Facebook, WeChat, and other social networking giants globally. The BC Crypto Standard Team turned its attention to Telegram, a social network which serves the majority of blockchain users. Each blockchain project had established its own Telegram community, and the blockchain industry began to track the growth rate of users within each Telegram community, the degree of user globalization, and the user's activity as important indicators of the quality of each project. At the same time, BC Crypto Standard realized that Telegram provides an extremely optimized environment for the viral growth of a community: there is no upper limit on the number of people the community can serve in providing a diverse and developer-friendly interface for development and employing diversified robotics to achieve highly effective community management. The confluence of these factors spelled opportunity, which the BC Crypto Standard team was among the first to recognize. It is easy to understand why BC Crypto Standard has such impressive insight, most of the team-members are alumni of world renowned universities such as UC Berkeley, Stanford, and the University of London with background in quantitative trading, online gaming, and other booming industries. Their former employers include Fortune 500, billion-dollar hedge funds, and Unicorn-level interconnected companies. Yet, despite their diversified backgrounds, all team members have a common feature: they are early investors, developers, and believers in blockchain. Alfred Chen, founding partner of BC Crypto Standard, believes that the current blockchain industry is ascendant, very similar to the internet market around 2000. There are many projects with revolutionary concepts. Many entrepreneurs are young geeks, proficient in blockchain development, who can discover new landing scenes, and then empower each industry with blockchain technology. After the industry's continuous marketplace battle and ultimate survival of the fittest, there will inevitably be some companies, like Google and Facebook, which emerge as the greatest victors. However, before that phase arrives, blockchain startups need to raise a large amount of cryptocurrency in their early stage, quickly establish public trading, and attract the interest of global investors through their traffic operations. Therefore, how to conduct traffic management and meet fundraising compliance standards are significant challenges for these entrepreneurs. Fortunately, these services are exactly what the BC Crypto Standard team excels at. For example, the growth hackers on the team recently carried out a series of secondary developments for Telegram, including data capture, cleaning, classification, de-duplication, and a series of data mining for all the blockchain-related communities in Telegram. At present, the team already serves more than 20,000 blockchain communities through Telegram, with an average of 3,000+ users per community, extending to approximately 90% of the countries and regions in the world. In addition, Stanley Li, another partner of BC Crypto Standard, who has extensive experience in online game operations, has incorporated game operational thinking and methods into blockchain operations. "We have transplanted the experience of online game operations into blockchain operations to carry out effective pull-ups, retention, and transaction behavior. In this way, we have made a perfect data funnel and optimized every link that may reduce conversion efficiency for our clients," Li explained. 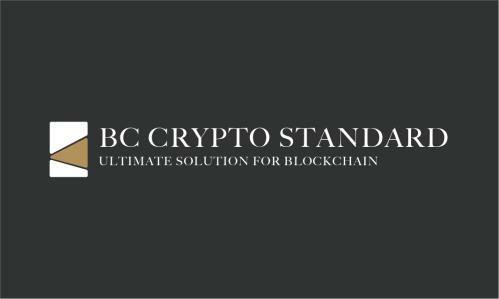 BC Crypto Standard quickly completed the closed loop of traffic operations through exceptional user acquisition techniques, cleaning, data mining, secondary distribution of traffic, pushing appropriate blockchain projects and activities to the appropriate users, and guiding users to complete specific actions and rewards. In addition to Telegram, BC Crypto Standard also completes the closed loop on platforms such as Twitter, Instagram, and YouTube. In fact, BC Crypto Standard Crypto's reach is already quite extensive. "Our customers include the Top 3 crypto-exchanges in the world; content blockchain projects with tens of millions of users; an encrypted data public-chain with self-verifying complex data structures from Italy, just to name a few," Chen explained. These projects cooperated with BC Crypto Standard and received enormous attention from their target users, which in turn generated a large number of buying transactions, and ultimately is reflected in the rise in the price of the crypto-tokens. This success is well-documented in other ways. For instance, in April 2018 the blockchain development team at Morgan Stanley conducted research for some of the BC Crypto Standard's client portfolio. A follow-up analysis concluded that for each $1 of operational investment in BC Crypto Standard's services, the client was able to get a return of nearly $100 in the secondary market. At the same time, BC Crypto Standard has established a branch in Belarus to provide blockchain companies with one-stop service for registration and compliance in Belarus. Thanks to the Belarusian Presidential Decree No. 8 for blockchain support, prior to 2023, blockchain companies can engage in full legal business and development and enjoy the right to raise crypto currency and receive tax exemption when they are registered and approved locally. "There is no doubt that Belarus has the most attractive landing policy for blockchain in the world," Chen said. "However, local laws, languages, and approval processes are unfamiliar to most companies. The approval of foreign blockchain companies in Belarus is very complex. To help our clients successfully land in Belarus, we have established a local office where our experienced local partners work with local law firms to study policies and customize processes with the top law firms." Chen projects that BC Crypto Standard will follow the example of Bloomberg and become the data financial services giant in the blockchain industry, continue to iterate, reduce barriers to blockchain data and information acquisition and analysis, and increase the operational efficiency of blockchain companies in the future. Chen and his team are supremely confident that their approach will continue to assist blockchain companies to quickly absorb policy dividends and fully empower the next generation of blockchain leader companies.